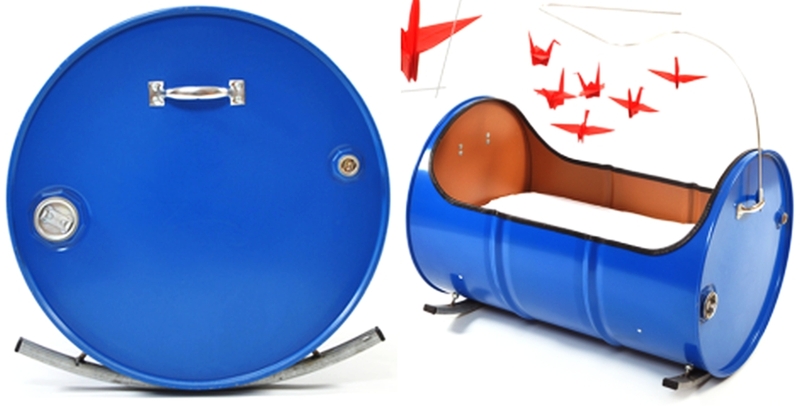 You are here: Home / Furniture / How to Recycle Metal Drums? How to Recycle Metal Drums? We don’t usually find metal drums lying around our house useless. It’s rare that we come across these huge containers unless we buy large quantities of some sort of liquid or paint. But if you do have a couple of metal drums just lying there doing nothing, you should rather recycle them instead of disposing them as garbage or trash. 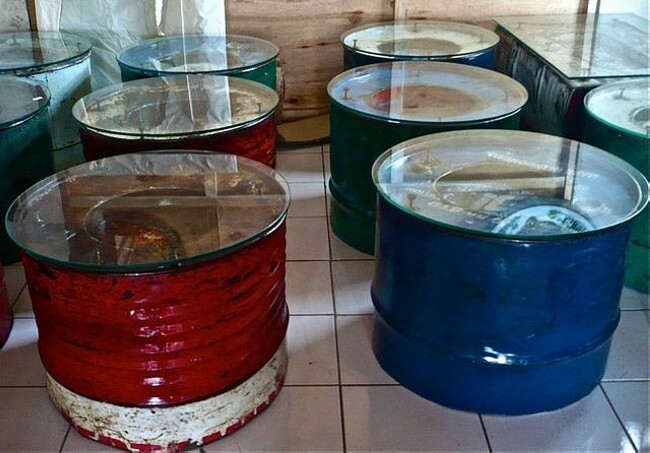 DIY recycling projects for metal drums comprise of various ideas and techniques that can help you in converting these waste metal drums into extremely useful products. You might not come across this thought of creating a single-seat chair out of a metal drum but this is a great recycling idea. Cut a curve piece of the drum. Now that you have an open space place cushions or foam inside to make it comfortable. Use the earlier cut metal piece as the back rest for the chair. And you’ll have a new single-seat chair by just recycling a metal drum. 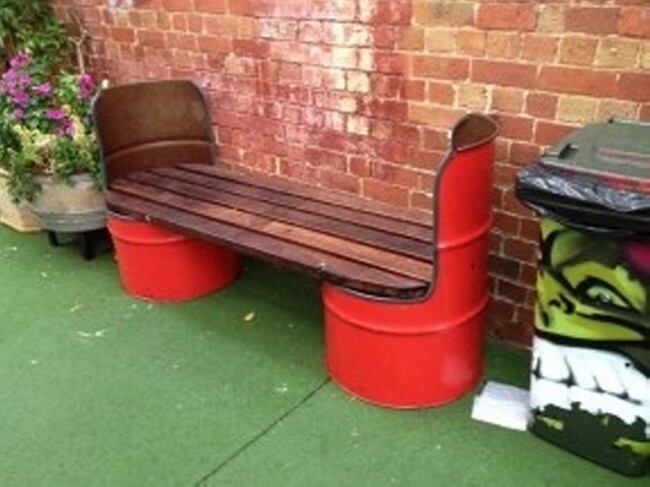 Waste metal drums are best suitable for making rocking beds for kids after recycling. You can create the sleeping space inside the drum by taking off a portion of the side and fitting in some comfortable mattress. You can also attach hanging toys to the walls of the rocking bed to keep the infant entertained. 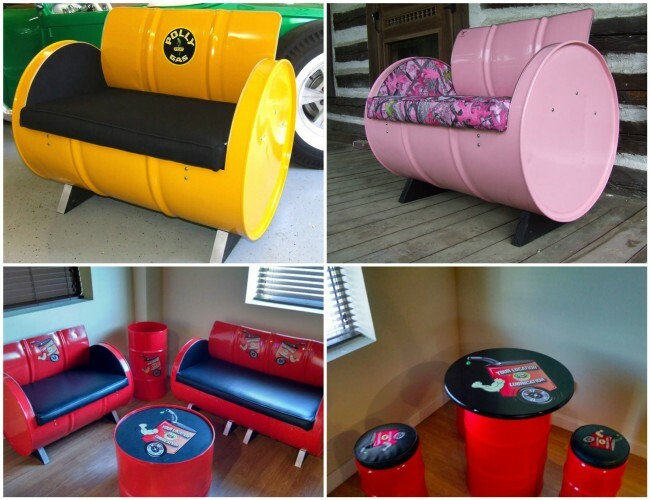 For all those who are fan of watching live sports on TV comfortably, here’s a great DIY recycling idea for metal drums. Alter the drum by cutting and welding. Create a chair and you can attach metal plates on both the sides of the chair for easy access to food and drinks while you watch the game. 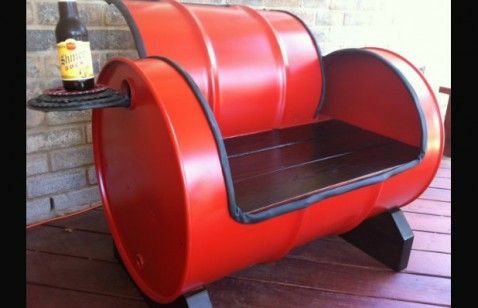 You can not only recycle metal drums into single seat chairs, but also make fancy two seater couches too. The larger the metal drums, the more seats you get. 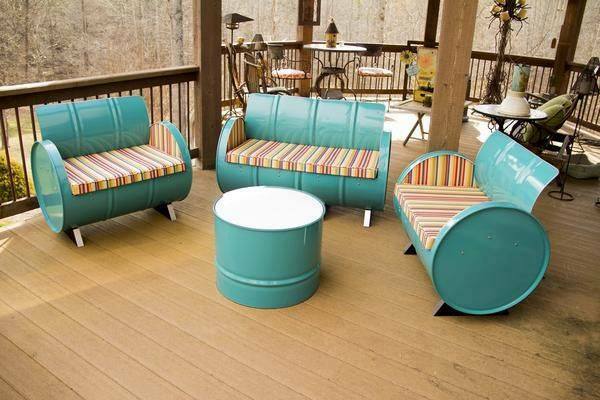 Moreover, you can use the smaller metal drums to create side tables or coffee tables too. Place to metal drums parallel to each other. Cut the side of these drums facing each other. Now place wooden planks between both the drums on their open ends and you’ll get an amazing new bench that you can place in your backyard or even a playground.